Automotive car trim categorically covers anything that can be added onto the exterior or interior of your car. Some of these exterior and interior car trim options can come with the vehicle upon purchase, but other trim options can be added after you buy your car. Cosmetic exterior car trim includes pearlized paint and pin stripes. Pearlized paint creates a specific look, as you can walk around the car and the car appears to change colors! You can customize your pinstripe colors to make a statement with your car. Custom pinstripe options can also be images of flames or barbed wire as well! Protective functional exterior car trim options include plastic bumpers and protected plastic rub strips. You can protect your car’s value with these exterior car trim options. You can also keep your exterior car trim in great shape with exterior car trim cleaners. Interior automotive trim includes door panels, dashboard panels, your center console, and in some cases upholstery. 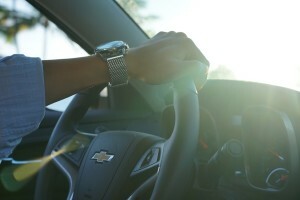 Your car’s interior will experience a lot of wear and tear throughout the years, especially if you have children or pets in your car regularly. Updating or cleaning your interior trim can sometimes be a simple solution to make you feel more confident and comfortable while driving your car. Keep your interior car trim to make your car look like new! The inside trim on your car can enhance your driving experience. Interior car trim can include upholstery. Interior car trim can vary from base level to mid-level and high-end interior car trim kits. Upholstery options include vinyl and leather. Few auto body repair shops offer upholstery as part of an interior car trim kit, so you can look for upholstery experts to take care of your car’s upholstery. You can improve your car trim with dashboard panels made of wood grain or chrome. Your wood grain for your panels can come in different stain colors, which you can coordinate with the rest of your car’s interior. You can repair or upgrade your dashboard panels by visiting a car repair shop. Your auto repair professional can find the proper interior car trim kit models based on your car’s make, model, and year of production. If you clean your interior car trim, you can extend the life of your car’s interior and maintain the value of your car for potential resale. The care and cleaning of your interior trim will depend upon what material is used in the trim. Your car can get dirty very quickly, so you can clean your interior trim with some proper interior trim cleaning supplies. Liberty Collision in Reno can perform interior trim repairs, etc. Upgrade your interior car trim at Liberty Collision auto body repair shop in Reno! Our qualified team can detail your car with exterior and interior trim that fits your needs. 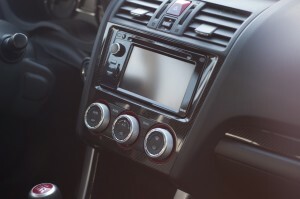 Whether you have a cracked dashboard panel or would like to add some protection to your car’s exterior, you can find the solution at Liberty Collision auto body collision repair shop in Reno. Stop by Liberty Collision for an estimate on your car trim package today.